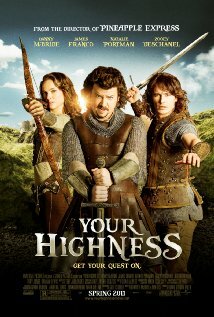 This film is set in ye-old-medievel times involving princes, kings, fair maidens and dragons. The dashing Prince Fabious (Franco) embarks on a chivalrous quest to rescue his true love, Belladonna (Deschanel). His less dashing brother, Prince Thadeous, is sent on the same quest by his father the king in order to make him into a hero, or at the very least, a man who goes on quests. Begrudgingly, Thadeous accompanies Fabious on the rescue mission where, during a particularly gruelling fight with a monster, they meet the gutsy Isabel (Portman). Together they all journey towards Belladonna where they must conquer the evil wizard Leezar to save Belladonna and the world. This movie is supposed to be funny, but it’s unbelievably childishly crude. The swearing made no sense at all where they placed it in the script. But then I realised why – the target audience is the 19 year old boy. Let’s see – we had getting stoned, swearing, slashing things with a big sword, and jokes about penises. There was certainly no laughing from our couch. In fact, I couldn’t believe that Deschanel and Portman (two of my favourite rom com actors) chose to be in the film and I spent most of the movie commenting on it. The script must have looked a whole lot better on paper. Hated it, waste of time. Tom falls in love with Summer and at one point, Summer falls in love with Tom, even though she does not want to be in a relationship or to put labels on what they have. When they break up Tom suffers badly, and his two friends are absolutely no good for relationship advice. He gets his best advice from his little sister. This film is not a simple chronology. 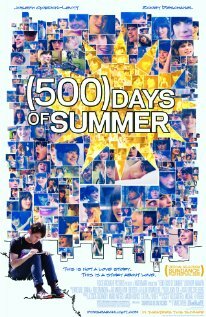 It goes back and forth over the 500 days in which Tom and Summer are involved. He loves her, he hates her. They’re young, they are learning about love and life, and not all relationships are forever. Summer is quirky and unconventional. You can hate her when you see the narrative through Tom’s eyes, but you can also love her when he is asked to look back again and he sees the things he missed. Whenever I see Zooey I want to get my fringe cut back in – you gotta love her style. I really like this movie. 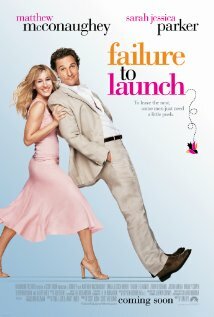 It’s slightly off beat, not your usual rom com, and offers a refreshing style.